Michigan Beagle Rescue View other Beagles for adoption. 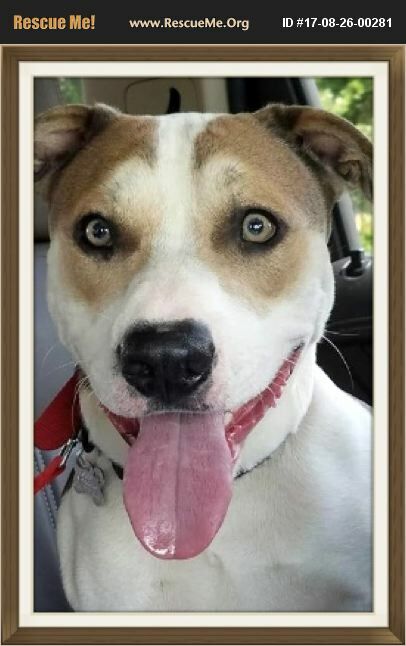 AUGGIE is a young male Beagle/Husky mix, as best as we can tell. The veterinarian said he is between 1-1 1/2 years of age. You will not find a better family dog. He gets along with all people & all dogs he has met. Auggie is an outgoing, pleasant, very well-mannered dog. He is so handsome and with those beautiful, soft, dreamy, light green colored eyes , he is quite the charmer. He also has a great big tail light on the end of his tail. Auggie shows no aggression of any type. No toy aggression, no food aggression. You can place your hands anywhere on his body without any issues. He's good on leash, minds well, is housebroken and crate trained. Auggie weighs 45 lbs & is neutered, micro-chipped, parasite free, Heartworm and Lyme's Disease negative, & up-to-date on all of his vaccinations. This boy is available for meet and greets & his forever home!